Mountain Aire Golf Club and Fairway Ridge Development combine to bring you extraordinary West Jefferson NC Real Estate offerings. 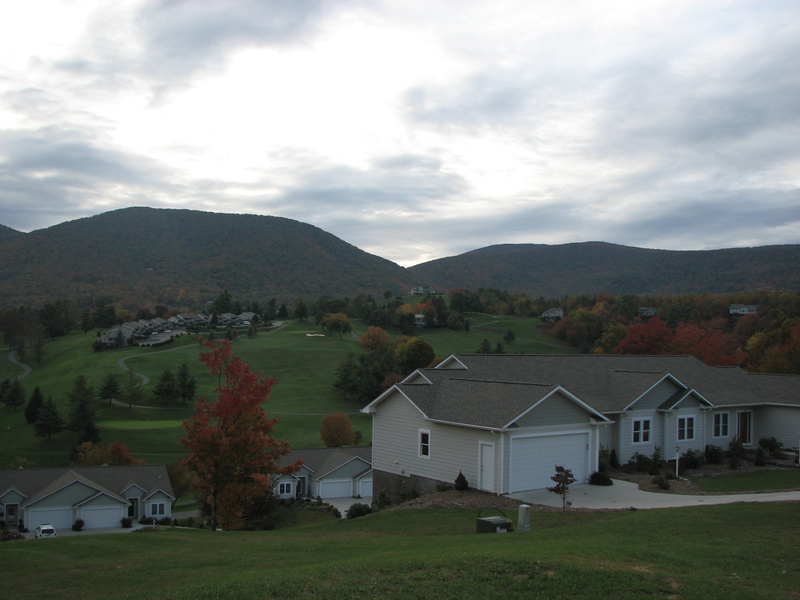 From new town-home development and NC Golf Course Homes For Sale to scenic lots for sale, Mountain Aire offers beautiful golf real estate options. Mountain Aire Real Estate specializes only in golf course properties. 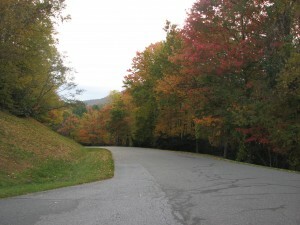 We can help you find your dream Western North Carolina Real Estate at Mountain Aire. Fairway Heights is an exceptional townhome community that overlooks holes 1,2,3,10, and 11 at Mountain Aire. The duplex units are built on two levels. The main entry level features a magnificent great room with a vaulted ceiling, an open great room – dining room-kitchen layout, two bedrooms, two full baths and a double garage. In those units where the lower level is finished, there is an additional bedroom, bath, recreation room and lots of windows. Ranging from about 1500 to 2700 square feet, these beautiful units are great for seasonal or year round living. Many people who visit the High Country find that they “just can’t get enough” of the cool summer temps, brilliant autumns…and crisp, clean air. We have heard from countless newcomers to the area of how they visited for the first time and simply wanted to call the High Country “home”. Numerous others simply want to have their own little piece of the mountains as a second home, summer or vacation get-a-way. Fairway Ridge Development offers you just that and more! Come…and live your dream at Mountain Aire. 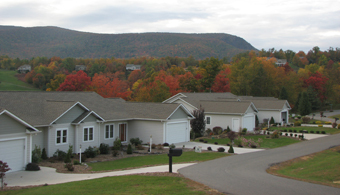 Fairway Ridge has been developed in small phases over a number of years. The roads are paved and water is furnished to all lots. Power, telephone and television services are installed underground. Fiber optic technology is available for high speed internet and television. Reasonable restrictions are in place to protect the investment of all homeowners. Let us know your needs and we will help you find your dream home or home site at Mountain Aire. We have included some frequently asked questions and answers below. The lots are priced from $40,000 to $100,000. The lots with the best views, the best access and that are the easiest to build on are the most desirable and therefore the most expensive. All lots are at least one half acre and as large as one and one fourth acre. Each lot has power, telephone, television and water installed to the lot corner. The septic system is the responsibility of the homeowner. Each lot has been tested by the health department for a septic system. Fire hydrants are installed and protection is provided by the local volunteer fire department. Phase VII lots require a $1200 fee to the Water Association when hooking up. Yes, there are several restrictions. All homes must be single family residences with a minimum of 1500 sq feet on one floor. If the house is two floors then there is a minimum of 2000 sq feet, 1300 of which is on the main floor. The building plans must be approved by the Property Owners Association. There can be no outbuildings, trailers, etc. A complete list of restrictions is available on request. Tell me more about the property owners associations. The incorporated associations meet yearly and elect a board of directors to manage the affairs of the owners. Currently, the dues for homes are $400 per year for the Property Owners Association which covers road repair, snow removal, right of way mowing, etc. The dues for the Water Association are $350 per year which covers all water expenses. Undeveloped lots are assessed at one half price. We are not in the town limits so there are no city taxes. The county tax rate is about $0.45 per $100 of valuation. A $50,000 lot would be about $225 per year and a $300,000 home would be about $1350 per year. For more information about Fairway Ridge Development, call us at (336) 977-0555, email us or use our Online Request Form for more information!